1 Blemished Available: $260.96 This item is available as a Blem/Refurb. These are items that cannot be sold as "New" merchandise and are limited to stock on hand. See the product details for a description of the product's condition. Scorpion has redefined a segment, melding the best features of touring helmets with the versatility of an off-road lid. Scorpion EXO-AT950 Neocon Helmet is the all-in-one swiss army knife of the helmet world. The modular chin bar allows you to relieve your claustrophobia or ask for directions while the off-road style peak and large eye port deflects roost, blocks the sun and allows you to wear goggles when tearing up the trails. 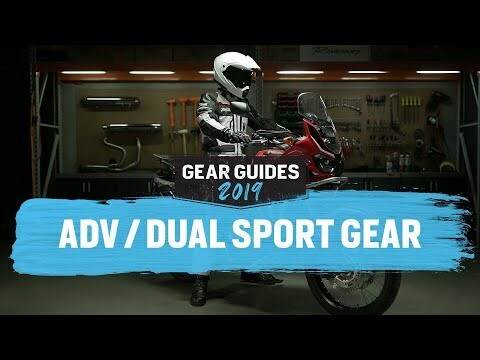 Additional features such as a Everclear anti-fog faceshield and Speedview drop-down internal sun visor keeps your vision clear and ready for whatever is around the next corner. If you're going to be hitting the highway, the peak visor is easily removed to give you an aerodynamic profile so you can bug out at speed. Eyeglass compatible cheek pads and a KwikWick II liner ensures total comfort. Very nice helmet but seems noisy. I purchased this helmet to replace my aging and faded Scorpion EXO 500. I also wanted a helmet that was modular so I wouldn't have to take it off in order to have a drink or eat a granola bar. I read previous reviews stating it fit somewhat small, my previous helmet was M so I ordered this one in a L. It fits ok but I probably could have gotten the M for a more snug fit. Other than that, it is a great helmet, large visor, gives wide field of view, has the usual drop down sun visor and being modular can flip the front up. There are only two intake vents that I could find, one at the front and one at the top. The helmet seems noisier than my previous helmet, possibly due to the fact its modular and has more spaces for air to sneak in. Overall I like this helmet, probably should have gotten it in size M but it fits ok and isn't flopping around on my head. I would definitely recommend this helmet while it is still available to be bought. First I would like to say that I love this helmet. 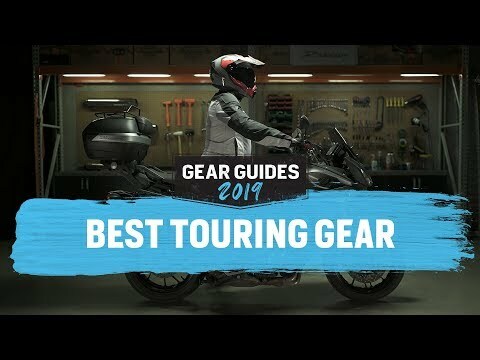 Scorpion did the entry level helmet buyer a favor by putting together a adventure helmet that offers you what you want and need out of a helmet. Air flow is great without compromising the noise level which is very low in my opinion. Being able to go from full face to open face is a god send when hydrating or just taking a rest. 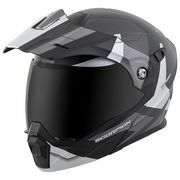 I highly recommend this helmet for the price! Also if I damaged my current scorpion exo-AT 950 helmet I would purchase this again. No questioned asked. Revzilla has the best prices and return policy so i wouldn’t buy it anywhere else. ???? 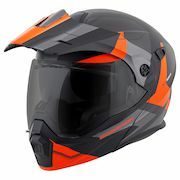 I looked at Klim and Arai ADV helmets and the Scorpion EXO-AT950 won out on features and price - by far! This helmet does pretty much everything I want it to do - a modular ADV helmet that also has a flip down sun visor (once I had that I'll never go back) and I like the style as well - I went with Hi-Viz Yellow. I've used it for about a month now and have no complaints. This helmet looks great and has a lot of features for the price. I now own 2 of them. Unfortunately that is because i wasn't able to size it correctly. This helmet seems to run small. Size up if you are unsure. I have also order different sized cheek pads to try customizing the fit. It seems to be a common trend that the cheek pads are tight in this helmet -- They do break in, but it still is tight in the cheek region. This helmet is everything I was looking for. Needed a peak to help block the sun. It’s quiter than my last helmet and when fully closed I don’t get as much drafts. I’m happy. Nice helmet but a little noisy on the road. This has been a good helmet as far as features and fit, but disappointing that the hi-viz yellow has faded significantly after only one summer. It's a very dull yellow now; can't imagine what it will be like after summer #2.